Growth is about to hit a surveillance manufacturer thanks to a £1 million finding package. The Rochdale based business Wireless CCTV Ltd (WCCTV), who specialise in site security, body-worn cameras and time-lapse video services, will use this funding package to purchase additional CCTV mobile towers and body-worn cameras. 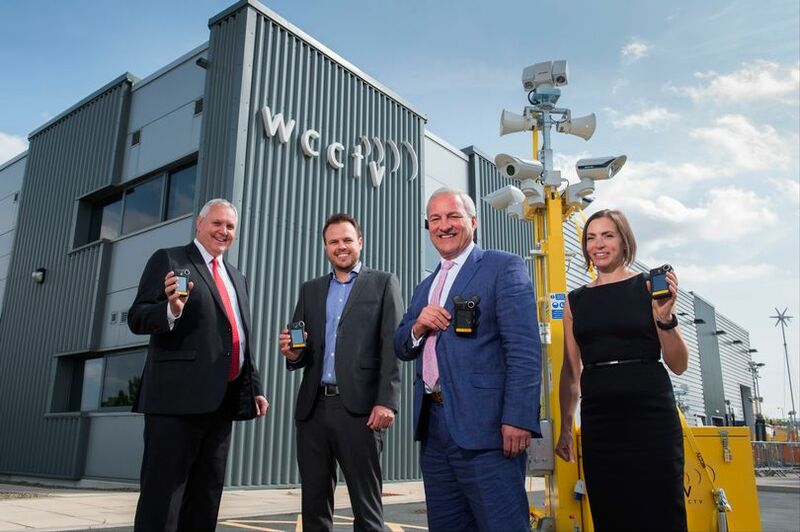 This investment will allow WCCTV to increase their sales capacity and work with a greater number of UK-based building, motorway and railway construction firms by providing them with redeployable CCTV towers. The company has seen an enormous success within the retail sector and with emergency services personnel and thanks to their body-worn cameras they will now be able to expand this further. The funding from HSBC UK has allowed WCCTV to create 10 jobs and apprenticeships and boost their turnover by 15 per cent. “We needed to reinforce our product offering to continue driving sales and the financial support we have received from HSBC has enabled us to do this. “The breadth and scope of WCCTV’s business is really quite staggering. From building and infrastructure construction companies to small, independent retailers and nationwide public service departments, WCCTV has a range of products and services that have the potential to reach all corners of a business. 0 responses on "£1 Million Funding Boost Set To Create 10 New Jobs At CCTV Manufacturer"